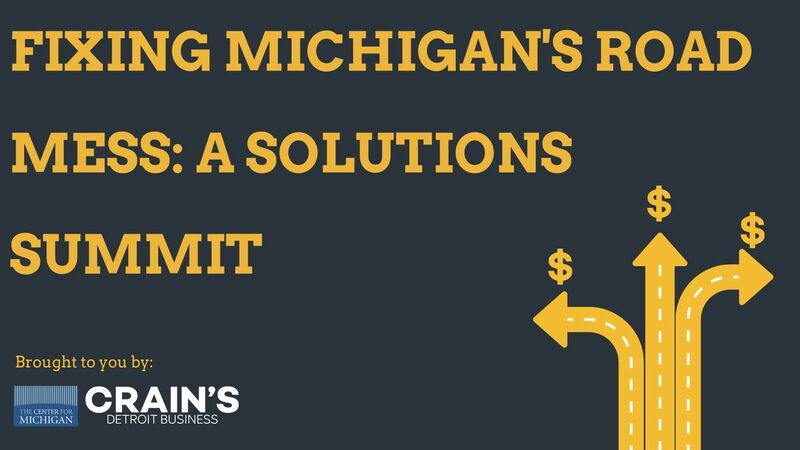 At this interactive session you will from experts and local leaders about the root of Michigan's road problems and our options for fixing them.Then it's YOUR turn to sound off, straight to state leaders! After the panels, there will be a facilitated citizen input session so you can weigh in on the ideas shared and what direction YOU think the state should take. Your opinions will inform the Center for Michigan's 2019 Citizen's Agenda, a resident-driven set of priorities for Lansing delivered to every state leader. 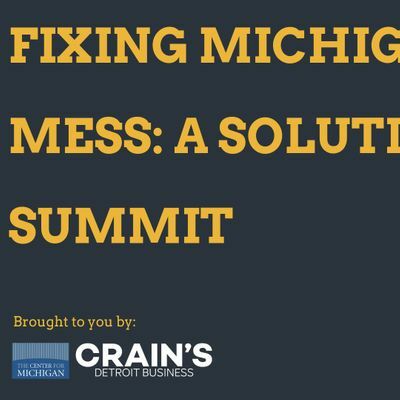 Crain's Chad Livengood will provide welcoming remarks, Bridge Michigan's reporter Chasity Pratt Dawsey will moderate the day's pannels. Brought to you by the Center for Michigan and Crain's Detroit Business.